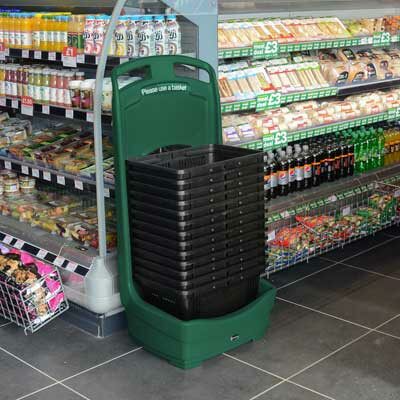 Robust, practical storage units for retail. 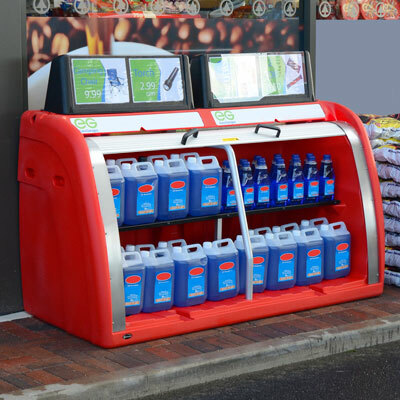 Here at Glasdon, we produce a range of products for retail and leisure environments such as forecourts, shopping centres and supermarkets. 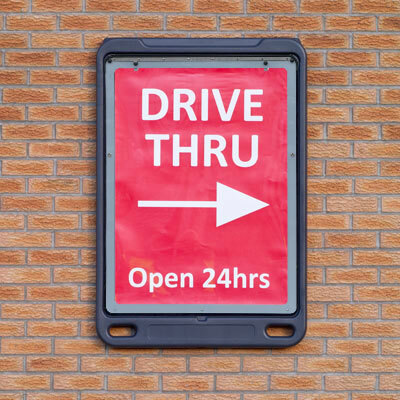 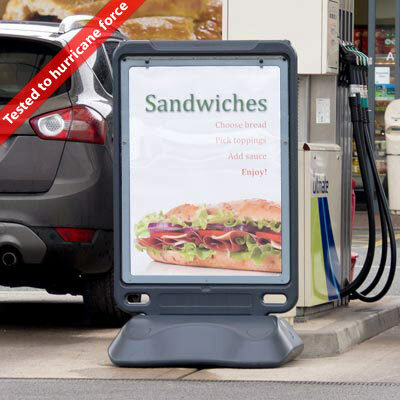 Our large floor standing pavement display sign has a slimline design, allowing it to be easily manoeuvred, so retailers can display their advertisements in ideal positions for passers–by.